All of the medical options are provided by Independence Blue Cross. When you register for ibxpress.com, you will have quick, convenient, and secure access to your benefits information, health information, wellness resources and more. With up-to-date claims and coverage information, lifestyle improvement programs, and relevant health information, ibxpress.com makes it easy to manage your benefits. And because ibxpress.com uses the strongest encryption methods available, you can rest assured that your personal information is secure. ibxpress.com – Download the IBX Mobile App for your iPhone or Android! Your well-being journey is personal. Whether you want to eat healthier, manage stress better, be more active, or just get some more sleep, your goals are unique to you. 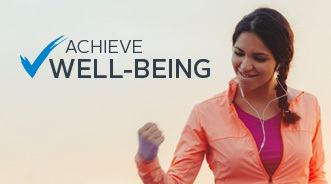 Achieve Well-being from Independence Blue Cross is a motivating and personalized set of wellbeing tools and resources that can help you achieve what’s important to you in a way that’s simple, easy, and fun. Personalized online tools that work for you—Visit ibxpress.com or download the IBX Mobile app to start your well-being journey today! Complete the Well-being Profile—This easy-to-use health profile takes just 15 minutes to complete. Based on your answers, you’ll get a personalized report with recommended focus areas. Start a Program—Choose from hundreds of programs to create a personalized Action Plan and daily activities to help you meet your goals. Develop Your Action Plan—Your daily Action Plan will display any current programs you are participating in, as well as helpful articles, videos, and healthy recipes that will help you on your well-being journey. Track Your Activity—It’s easy to track your progress and daily activity. If you use other apps or devices (like FitBit®) to track your health and well-being, you can sync them to ibxpress.com. Pre-certification review is designed to ensure that all the services you receive are medically necessary, appropriate, and cost-effective. Generally, when you receive In-Network PPO care, or when your PCP provides or coordinates your care, your doctor/PCP or the hospital will handle any pre-certification for you. However, if you receive Out-of-Network or Self-Referred care—or you are out of your plan’s service area—YOU may be required to call 1.800.275.2583 for pre-certification. For the Personal Choice HDHP and Personal Choice PPO plans, this is true even if you use a provider or facility that participates in the BlueCard PPO program. If you do not get pre-certification when required, benefits may be reduced or not paid at all. The pre-certification requirements for each option vary. See the Plan Summary charts available on the Benefits Gateway (www.archphila.org/hrbenefits) and read the carrier booklet for your option for details. Contact Member Services at the number shown on your ID card if you have questions. When you have a life-threatening medical situation, seek treatment at the nearest emergency room. For other issues that require attention, such as strains or sprains, fevers, earaches, and sore throats, consider calling your doctor or using the Telemedicine service described below. Or, go to the nearest In-Network urgent care center. Blue365 offers discounts for fitness centers, nutrition and weight management programs, laser vision correction, parent and senior care, hearing aids, and fitness apparel. To take advantage of Blue365, just access the Blue365 website through ibxpress.com. These exclusive discounts from leading, national brands are included at no cost to you.